RIT Information Security Alert: Malicious attempts to access myInfo/eBiz accounts. Sign up for MFA now! RIT is seeing a recent increase in phishing attempts to gain access to myInfo/eBiz. Since last week, many attempts to gain access to myInfo/eBiz have been made. RIT employees (including student employees) who have not yet signed up for Multi-factor Authentication at RIT (MFA) are at risk, because the hackers are able to enroll usernames in MFA and gain access to protected accounts and information. We suspect that Friday’s phishing attempt was used to collect usernames and passwords. Read more about RIT Information Security Alert: Malicious attempts to access myInfo/eBiz accounts. Sign up for MFA now! Last month, an RIT computer in one of the colleges was compromised by ransomware, leading to attempted encryption of files both on the computer and on network shares to which the computer was connected. Thanks to the diligence of support staff, the attack was detected and halted. Because the data was backed up, no information was lost in the attack. The vector for this particular attack appears to be a malicious attachment received by email. The attachment was disguised as a mailing label. 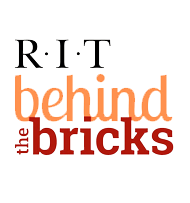 A little over a week ago, RIT users were targeted in a phishing attack that masqueraded as important messages. The links provided in the email messages resembled our myinfo page. Here’s one of the variants below. You’ll note that although the end of the link is myinfo.rit.edu, the first part of the link is to a location in Brazil. Clicking on that link would take you to the website that mimics myinfo.rit.edu, not to the RIT site. If you receive an email with an unexpected attachment or link, verify with the sender BEFORE opening the attachment or clicking on the link. Your colleague’s account may be compromised. The malicious email may come from them. If you notice that you're receiving many undeliverable messages/bouncebacks in your email, change your password and contact your service desk. We’re not trying to sound overly dramatic, but we need you to read this alert and take action (and tell your colleagues and fellow students). RIT Information Security Alert--Job Scams! RIT Students have fallen victim to a scam. We want to help you identify future scams. Read more about RIT Information Security Alert--Job Scams! RIT users have received account update phishing attempts masquerading as official RIT email. RIT email users have received another phishing attack that mimics an RIT official message. PLEASE DON'T CLICK ON THE LINK AND PROVIDE YOUR INFO! You'll receive many of these phishing attempts throughout the academic year. We won't be able to warn you about all of them. How do you know this is a phishing attack?